My latest image shows a favourite place of ours to walk - Agden Reservoir, near Bradfield. Parts of this walk can become quite muddy during winter, and this image shows the morning frost on the ground, in the trees, and the low laying scrub. ​Now available as A3 and A4 prints. 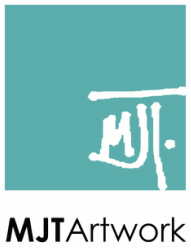 All copyright, design rights and intellectual property rights existing in our designs and products and in the images, text and design of our website / marketing material are and will remain the property of MJT Artwork. We will treat any infringement of these rights seriously.